Norwich, U.K.: Jarrold & Sons, 1976. Book 1 only (of a set of two). Text/BRAND NEW. Illustrated stapled soft cover/NF w/faint creasing to upper back corner. Introduction to fungi found in Britain. This volume, Book 1, treats agarics (grilled fungi), the spongy boleti and some the the ploypores, tooth-fungi (Hydnacease), jelly-fungi (Tremellales) and fairy clubs (Clavariaceae) --- all Basidiomycetes.. First Thus. Soft Cover/Stapled. Near Fine/None as Issued. Illus. by E.A. Ellis (Author-Photographer). New York, NY: Macmillan, 1966. 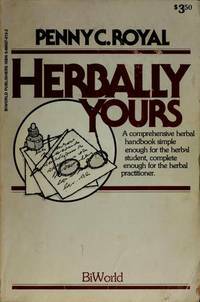 Stated First Edition, First Printing, 1966. BRAND NEW Copy. Biological science. Monograph of behavioral aspects of the integration of individuals into a coherent population, which itself generates new types of population behavior --- a concept of biology viewing behavior as an integrating mechanism. 8 chapters: 1, Introduction: Behavior of Plants; 2, Behavioral Equipment; 3, Adjustment to Habitat; 4, Emancipation from Environment; 5, Organization of Populations; 6, Behavior & Regulation of Populations; 7, Behavior & Survival of Populations; and, 8, Behavior of Man.. First Edition, First Printing. Soft Cover. Fine/None as Issued. Chicago, IL: Univ of Chicago Press, 1962. PAPERBACK. Text/BRAND NEW, and Bright. Illustrated soft cover/NF w/trace rubs to leading edges. 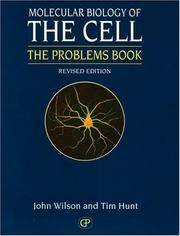 A scientific adventure first published 1961 in hardcover; this is the 1962 2nd Printing in paperback format. Published w/o ISBN; ISBN subsequently assigned. Search to understand how the bottlenose dolphin (or porpoise; a small toothed whale sporting a low triangular dorsal fin and a blunt rounded snout) navigates in the ocean in darkess, and sometimes turbid waters, without the use of vision, smell, taste, or touch and yet be able to circumvent submerged obstacles and locate fish for food. Sponsored & supported by the Office of Naval Research and the Nat'l Science Foundation, the study is an excellent example of coordination between many differing arms of research. Supported by photos, text in 11 chapters: 1, Whales & Porpoises; 2, The Amazing Dolphin; 3, Sounds Beneath the Sea; 4, Indications of Porpoise Sonar; 5, The Nature of the Signal; 6, The Acoustic Analyzer; 7, Perception of Submerged Targets; 8, Distinguishing Between Objects; 9, The Avoidance of Invisible Barriers; 10, A Porpoise Obstacle Course; and, 11, Conclusion. Fine copy.. First Edition, 2nd Impression. Soft Cover. Near Fine/None as Issued. Melbourne, Australia: Univ of Melbourne, 1988. Text/BRAND NEW. Illustrated soft cover (Sarcochilus falcatus)/NF. Joint publication of the Orchid Species Society of Victoria and the School of Botany at the Univ of Melbourne. Anthology of concepts, results and techniques for orchid propagation from seed. 8 articles: 1, Introduction to Pollination Systems (Bruce Knox); 2, Propagation of Species Orchid from Seed: A Guide to Growers (Andre Cleghorn); 3, The Fertility of Species Orchids in Self & Interclonal Crosses (Barbara Walker & Jacinta Burke); 4, The Spectrum of Fertility in Australian Orchid Species (Peter Adams); 5, Fertility of Australian Sarcochilus R. Br. (Sheryl Lawson); 6, The Effect of Loading Cymbidium Tracyanum Rolfe, C. Suave R. Br & C. Canaliculatum R. Br. with Numerous Seed Capsules (Peter Adams); 7, Aspects of Reproduction in Dendrobium Speciosum Sm. (Tony Slaters; and, 8, The Reproductive Biology of Eriochilus Cucullatus (Labill.) Reich. : An Autumn Flowering Terrestrial Orchid (Louise Rowe & Malcolm Calder) followed by 4 appendices with methods of propagating by seed. Fine copy.. First Edition, First Thus. Soft Cover. Near Fine/None as Issued. Illus. by Ian Clarke, Linda Coppock, & Kevin Thiele (Botanical Illustrators); Harry Swart (Cartoons). New York, NY: McGraw-Hill, 1987. Stated First Printing. Text/trace soiling to first two endpapers, else BRAND NEW. Illustrated grey flexible cover/Fine. Half banner/Fine. 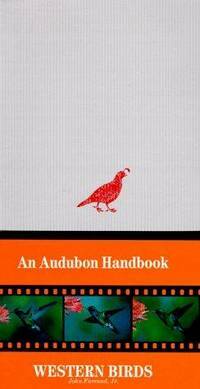 Guide to birds found west of the Rocky Mountains, that is, between the Pacific Coast and the Western Great Plains, and states along the southern Canadian border. An account of Bird Groups precede picture-and-text descriptions.. First Edition, First Printing. Soft Cover/Flexible. Near Fine/None as Issued. Auckland, New Zealand: Unity Press, 1937. 1937 Edition. Text/As New; with water spill to upper text & resultant wrinkling to throughout volume. Illustrated (photo pastedown) soft cover/NF w/light soiling. Closed tear to lower fEP. Concise, illustrated, guide to molluscan fauna of New Zealand. 17 chapters include: Chapter 3, The preservation & Storing of Specimens; 4, On Name Changes --- Are They Necessary? ; 5, The Distribution & Zoning of Our Molluscs; 6, Some Aids to Classification; 7, The Application of the Science of Conchology; 8, The Pelecypoda: Bivalves; 9, The Cateropods: Univalves; 10, The Amphineaura: Chitons; 11, The Cephalopoda: The Octopus & Its Allies. Final chapters include glossary of some Maori names in use. Strong copy despite wrinkling.. First Edtion, First Thus. Soft Cover. Good/None as Issued.